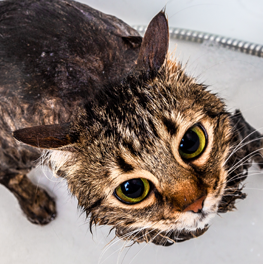 Splish, splash, give Kitty a bath to cleanse, detangle and prevent hairballs in one easy step. 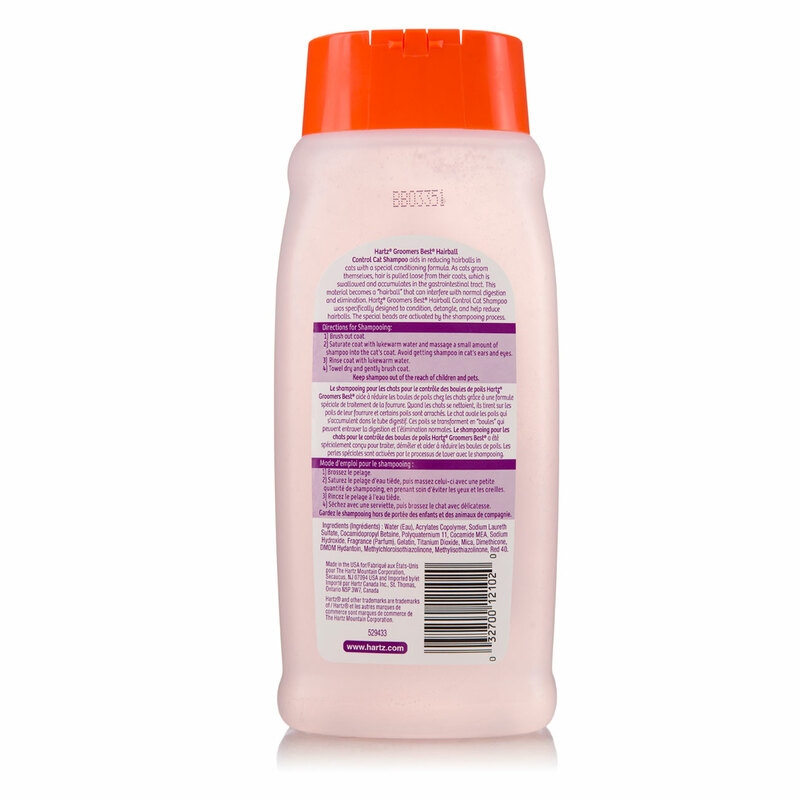 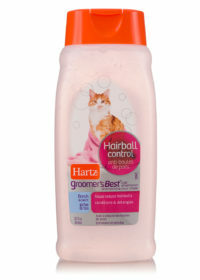 Hartz Groomer’s Best Cat Shampoo has a light, fresh scent and uses microbeads to gently help condition while you lather. 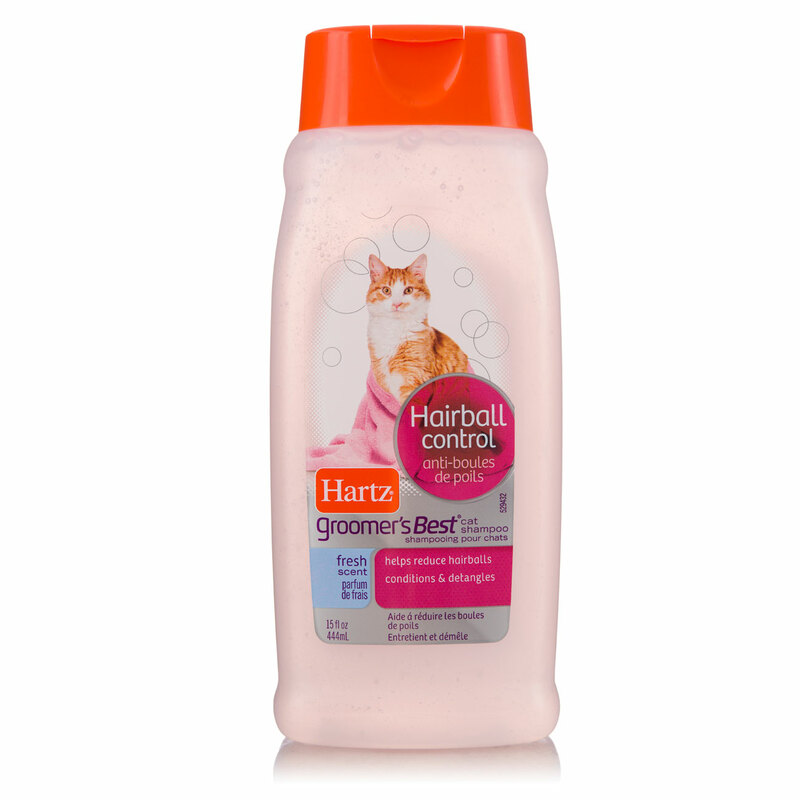 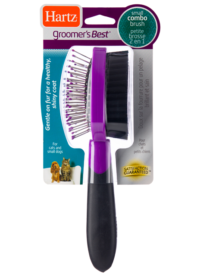 The special hairball prevention formula works on cats and kittens of all ages and hair lengths by removing loose locks so they aren’t ingested. 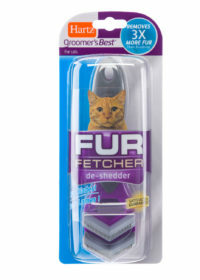 Plus, your favorite feline will achieve a silky and shiny cuddle-worthy coat. 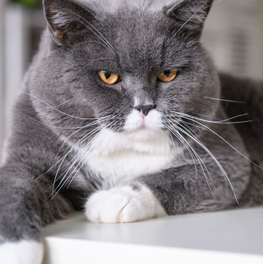 Now that’s something to purr about. 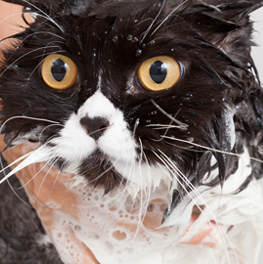 Cats can spend hours grooming themselves, and for the most part, they do a pretty good job. 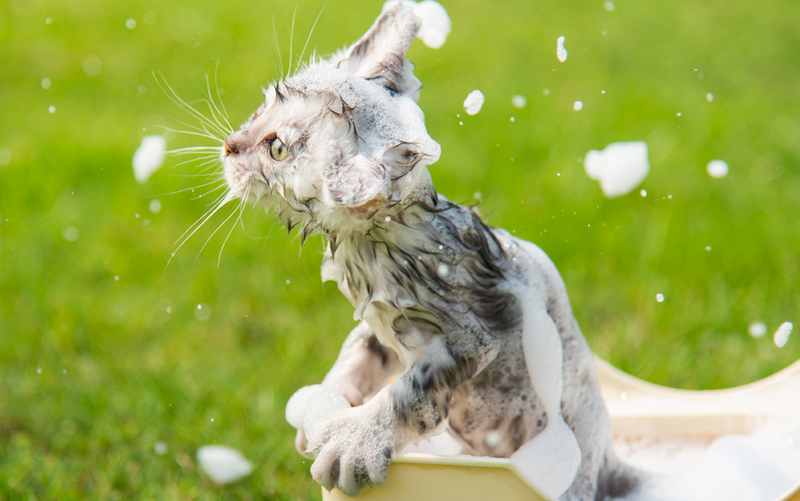 However, there are some occasions that require a date with the bathtub!